With the summer over, the nights darker and the coats pulled back out of the cupboards for the Winter it has got me thinking about Christmas! The countdown to Christmas is always an exciting one in our house and it wouldn't be complete without an advent calendar to help us countdown to the big day. 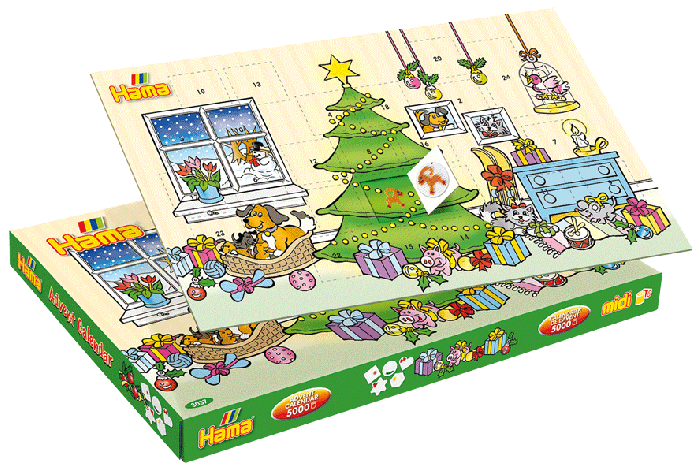 I have seen lots of chocolate calendars in the shops already and that got me thinking about the different types of advent calendars available. I can't believe how many there are! From Chocolate to Make-Up and even a Beer advent calendar. There is something out there to suit every member of the family so here are some of our favourite alternative advent calendars, with something for everyone in the family. Where to Buy - Amazon. What's Inside - The Haribo advent calendar is a great alternative for those who prefer sweets to chocolate. There are 24 windows with each one containing a mini bag or wrapped Haribo sweet. Where to Buy - Tesco, Amazon,JD Williams and vetch.co.uk all stock these. 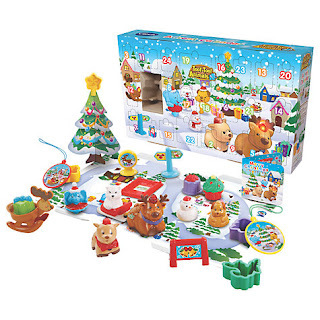 What's Inside - Toot-Toot Animals advent calendar features 24 fun play pieces including a Toot-Toot Animals reindeer, a Christmas tree and lots more. The box panel even folds down to become a Toot-Toot Animals play area! Reindeer includes 3 Christmas songs, 6 festive melodies and fun sound effects. Where to Buy - Sous Chef website. What's Inside - There are 24 different chillies, from Mexico, India, Taiwan, USA, Thailand, Spain and more. There are chilli flakes, chilli powders, and whole chillies. Smoked chillies and unsmoked chillies. All the chillies a chilli fiend could need! 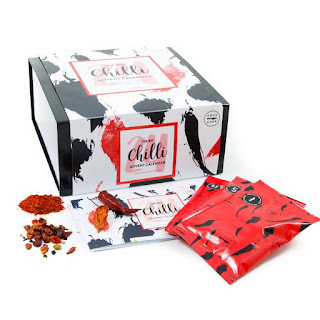 Each day the pouch will include a chilli as well as a information booklet with recipes inside to give you some inspiration. Product - Hama Beads Advent Calendar. What's Inside - Approximately 5,000 assorted Midi Hama Beads, a Small Square Pegboard, Small Round Pegboard, Small Hexagon Pegboard, Small Heart Pegboard, Small Star Pegboard and 6 Midi Bead Supports. Contains 24 designs to create various Christmas-related patterns. The set also includes instructions and ironing paper so contains everything you need! Where to Buy - Best of British Beer website. Whats Inside - Inside this huge Christmas tree advent (standing at 69cm without the star on top!) 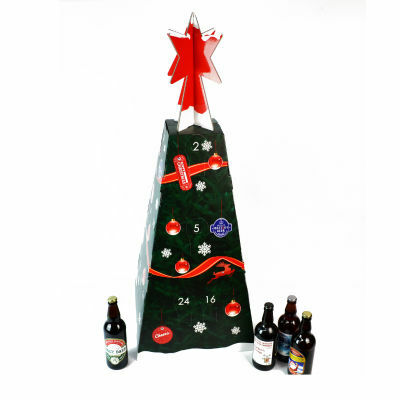 you will find 25 British festive British Beers in various styles and strengths. The perfect excuse to sample a huge range of beers and enjoy a festive treat every evening in the run up to Christmas. 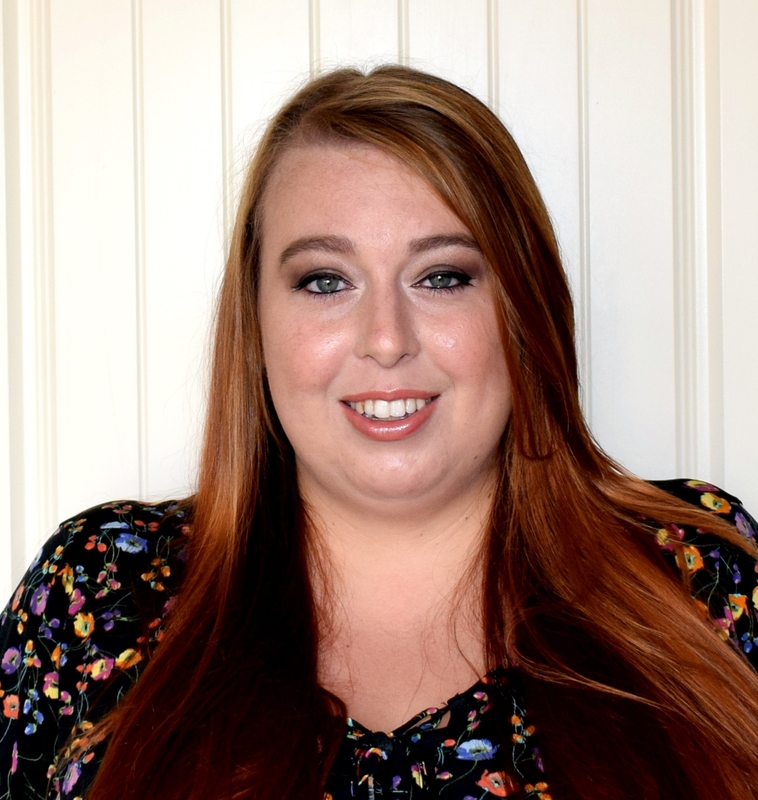 Product - Mad Beauty Christmas advent Calendar. Whats Inside - The Mad beauty advent calendar comes in a choice of classic gold or hot pink and black however the contents is the same in both. Inside you will find a range of beauty products including lipsticks and lip glosses, nail polish and eye shadows. You will also find accessories too such as a nail file, festive nail sticker’s, brushes and more. There are 24 windows on this calendar. 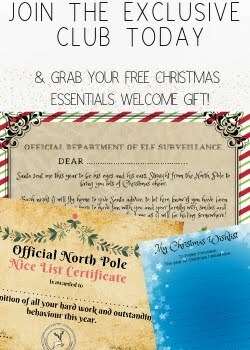 Where to Buy - Find Me a Gift website. Whats Inside - Behind each door this beauty products advent calendar contains a fun, festive treat in cute holiday-themed packaging, one for each of the 12 days of Christmas! With everything from hand cream to bath fizzers this advent calendar will provide you with a pampering treat for the 12 days before Christmas, leaving you feeling your very best for the big day! Do you and your family have an advent calendar in the lead up to Christmas? If so are you a traditional chocolate fan or do you like something a bit different? Do any of the above take your fancy? I love an advent calendar - I've eaten a full chocolate one already, it's November. Great selection of calendars to choose from here. 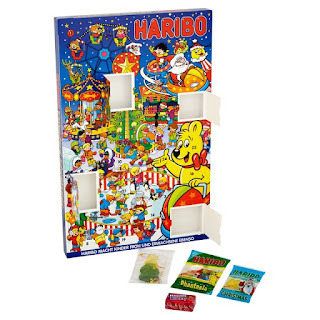 I haven't seen the Haribo calendar before - my kids would love this! I love getting the advent calendars for everyone in the build up to Christmas. It's always interesting to see alternative advent calendars. I love an alternative calendar, My youngest has a peppa pig one and my eldest a My little pony one, they are going to love them! I would love a beauty advent calendar for myself! I've got my son the Star Wars Lego one and the Playmobil one for my daughter. I love these exciting new advent calendars. I remember always having the same ones year after year as a child. I used to ease the chocolate sheet out of my brothers and eat all of his chocolates! I love this as I am looking for a choc alternative for our youngest. I like the haribo one (maybe for myself) for him. The Haribo one is fab isn't it? My youngest has it this time as he isn't really a fan of chocolate! Aww these are great. I made my Daughter one with make up in last year and now she wants another one. She would love the last one. The Husband would adore the Big Chilli advent calendar. I'm hoping for a gin one and the kids will be happy with Haribo. Cool alternatives to this. I like the alcohol ones for sure! or just something different in general besides that gross chocolate! Do you know, I really love that so many brands are bringing out different advents! I just love it. Something for everybody!